Accompanied by the Gothenburg Symphony Orchestra, Taiwanese-Australian classical violinist Ray Chen performs Violin Concerto in D minor, Op. 47 by Jean Sibelius. Conductor: Kent Nagano. Recorded on March 26, 2015. 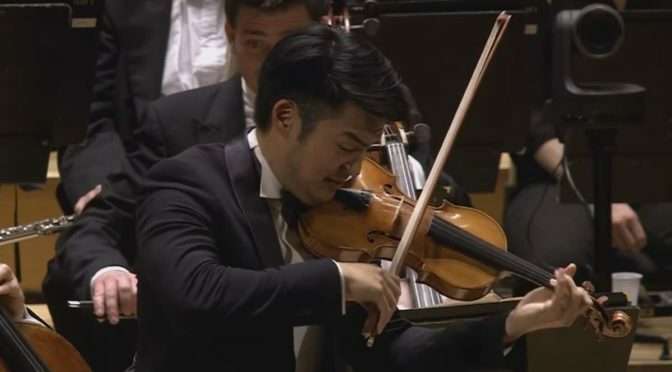 In this video, Chen plays on the 1715 “Joachim” Stradivarius. One of the best flamenco guitarists ever, Spanish flamenco guitarist Paco de Lucia plays Zequinha de Abreu’s “Tico Tico”, the best known work of the Brazilian composer. Because of the lack of written tradition, Tico-Tico is played in various melodic versions all over the world.